Consecreation of The Rt. Rev. James Ingall Wedgwood, London, 13 February 1916. Left to right: Rt. Rev.Robert King, Assistant Consecrator; Rt. Rev. J. I. Wedgwood; Rt. Rev. Frederick Samuel Willoughby, M.A., Consecrator; Rt. Rev. B.E. Gauntlett, Assistant Consecrator; The Very.Rev. J. B. Seaton, Provost. The Liberal Catholic Church came into existence as the result of a complete re-organization in 1915-16 of the Old Catholic Church in Great Britain upon a more liberal basis. That Church derived its orders from the Old Catholic archiepiscopal see of Utrecht in Holland. It is neither Roman Catholic nor Protestant. It is called Liberal Catholic because its outlook is both liberal and Catholic. It aims at combining Catholic forms of worship, stately ritual, deep mysticism and witness to the reality of sacramental grace with the widest measure of intellectual liberty and respect for the individual conscience. A few months later I was once more on my way to Sydney to take counsel with C. W. Leadbeater. The worldwide journeying was decidedly expensive, but I realized some capital in order to make it possible. Bishop King was left in charge of the work in England and admitted some good workers to the priesthood. Mr. Leadbeater saw great possibility for usefulness in the movement and placed his services unreservedly at our disposal. 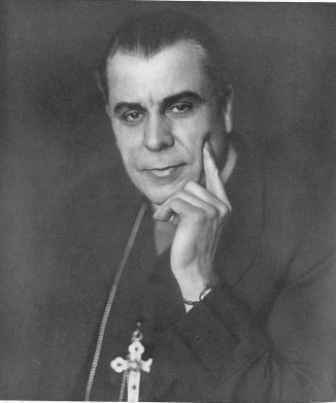 He was consecrated bishop on July 22, 1916, having previously received conditional baptism and confirmation and the earlier Orders, again conditionally, at my hands. 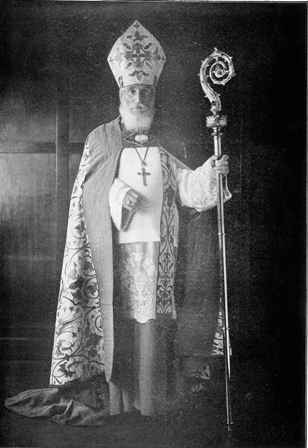 Bishop Leadbeater was the Presiding-Bishop of the LCC from 1923 until his death in 1934.He wrote a number of books in which he presented his unique vision of aspects of the Christian tradition, including The Christian Creed (1899), The Inner Side of Christian Festivals (1920) and The Science of the Sacraments (1920). Audio recording of Bishop Leadbeater speaking on ‘To Those Who Mourn’, about the certainty of life after death,1925. An interview with Oscar Köllerström, conducted by Michael Godby. In it Köllerström reminisces about Bishops Wedgwood and Leadbeater and the beginnings of the Liberal Catholic Church in Sydney. To listen to it please click on the icon on the left. For what, we may now be asking, will he be especially remembered if he is remembered after this generation that has known him has also passed on? Of course future generations, not this generation, will decide whether to remember him or not, but we can hardly doubt that such a remarkable man will live on through his writings for many generations. And if he lives on we may, I think, predict that it will be largely because of what he has revealed about the other side. For that must be a very, very interesting subject to all people who think at all. And those who read with unprejudiced minds what he has left behind him on this subject in such books as The Other Side of Death will soon become convinced that the writer really knew what he was talking about. What he says carries conviction, except of course to those who for personal reasons are prejudiced against the man (and these will hardly be persuaded to read anything of his) or to those who are of a more scientific turn of mind and seek for proof rather than for revelation. But there will always, or at any rate for very long, be innumerable people who will be glad to know what one who writes with such convincing force and from knowledge on this subject has to say about it even though he may not be able to give what is called scientific proof of what he reveals. But that clairvoyant power of Leadbeater’s was not confined to the vision of after death conditions. It was used also in that careful research work of his in that field of life which is always just at the back of or just beneath our every-day life and action. Those who have read for instance The Science of the Sacraments will know very well what I mean, though that describes only a particular and limited part of this vast field; but if you can believe what is written there then you must realize that there is an added interest and inspiration in our sacraments and Church services over and above the interest which all experience who approach them with reverence and devotion but without this explanation of the inner side. He told us exactly what happens on that inner side at every turn and every movement in the celebration of these services, and exactly how and when such exalted Beings as angels and holy ones co-operate with us in these sacred acts. For this too, then, as well as for what he has revealed about the other side of death will he surely be remembered so long at any rate as there are in the world devout people without this knowledge of their own yet glad to know about such things; people who are not too skeptical or too prejudiced to take them at least tentatively from one who has written so clearly and so confidently about them. One more point about him of special interest to us of this Church, which he helped to inaugurate and which he loved and served for the last sixteen years of his life. What has been his especial contribution to Christian thought? He has introduced the ancient wisdom of the East into the West through his theosophical work and through his reconciliation of the Eastern teachings with the Christian creeds. Others of course have shared with him the work of teaching the Eastern wisdom to Western minds; his friend and great colleague, Annie Besant, especially and, before her, H. P. Blavatsky; but C.W.L. did what neither of these two has done in quite the same way; he has done it as a Christian bishop and because he was a Christian teacher. He has taught the esoteric wisdom in terms of Christianity. It has often been said, originally I believe by Clement of Alexandria in the 2nd and 3rd centuries, that the Christian religion is like a river with many affluents. Judaism is one such tributary; Hellenism is another; the genius of the Latins has also poured in in very large measure; and more recently the Nordic races, chiefly but not wholly through Protestantism, have added their special contribution. And now there comes another tributary bearing the ancient wisdom of the East. It is as yet but a trickle but it may be destined to flow in greater and greater fullness. Charles Leadbeater is mainly responsible for that. The oneness of life – God’s life and ours – is distinctly an Eastern teaching. The planes of nature and the corresponding levels of consciousness is another. Reincarnation though not unknown in the West is more especially an Eastern teaching. The path by which those who are willing to tread it may have access to the Holy Ones, to those who in the East are called Rishis and in the Christian tradition are known as the Saints or the just made perfect. That too is an Eastern idea. Leadbeater taught all of these; in fact those teachings in combination were what he lived for, they were life to him; and he presented them in Christian form and so made clearer the great Christian doctrines which were becoming or had become meaningless to many a modern mind in the West. Thus through his work the Wisdom of the East flows into the great Christian religion as still another affluent. In these three ways then is he likely to be remembered; he, more than anyone else in the world, has shown that death is negligible. And he certainly, more than any other, by showing us the inner and hidden side of things, has made our sacraments and ceremonies and indeed every action of our lives more than ever intelligible. He has also ‘tapped’ the wisdom of the East diverting it into the main stream of the great Christian Faith. For all these reasons he is likely to be remembered long after we have gone; but to most of us he will always be, more than anything else, the C.W.L. that we have known so long, the genial, kindly, jolly friend and – what he especially loved to be called – Brother. Our late Presiding Bishop was one of the most versatile men I have ever met. 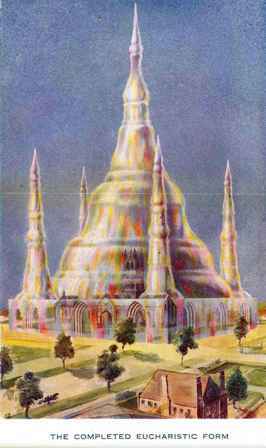 We are acquainted with the many books written by him on a variety of subjects, ranging over Theosophy in general, over Occultism, Masonry and Christian Worship. He even turned his hand to novel-writing. Apart from all this he had a stock of information about all sorts of out-of-the-way subjects. I remember speaking to him in the early days of our friendship about a hobby of one’s own – organ building, and finding to my surprise that he had himself considerable technical knowledge of the subject. I met him as early as 1906 in the house of Mr. Hodgson-Smith at Harrogate. I stayed with him later in the company of Mrs. Hotchener (then Mrs. Marie Russak) and Mrs. Van Hook at Weisser Hirsch, near Dresden; at Colmar in Alsace-Lorraine with Mr. Johan van Manen in the house Mr. Osterman; near Genoa in the house of Mr. and Mrs. Kirby. Later I saw him in the course of four visits to Australia, of visits to Adyar in India, and in 1930 I accompanied him on a trip through Europe. One was naturally interested in the studies he had made and the books he had written on psychic matters. I remember on one occasion, while at Weisser Hirsch, his telling me about the method of drawing prana or vitality into oneself from the pine-trees which were plentiful in that district. He suddenly asked me if I had ever seen nature-spirits. I answered “No”; and to my surprise my vision was suddenly opened and I saw them. One naturally anticipated this kind of development and was puzzled that it did not take place. But I soon discovered that his system of working with people was otherwise. One went away from him after some months of companionship and found that fundamental changes had taken place in oneself; one’s outlook on life was different and certain of the more important qualities of one’s character had been strengthened and developed. I soon discovered that the real changes in occultism do not consist in the opening up of consciousness from below upwards but rather in the unfolding of the fundamental qualities of character and the playing of those down through the personality. It was my memorable privilege to initiate him into Freemasonry and to confer upon him various of the higher degrees worked in the Co-Masonic Order. During the preliminary initiations he was living in the memory of what took place in Egypt centuries ago in the Mysteries, though he had never made any study of Masonry in this life. I am not revealing secrets in recounting one interesting episode. During the ritual in use at the time he was led during a certain ritual journey in a certain direction. He suddenly expostulated; and told us that in Masonry we should not take that particular direction. And as the outcome of those memorable days we have the heritage of two pricelessly important books: – The Hidden Life in Freemasonry and Some Glimpses of Masonic History. 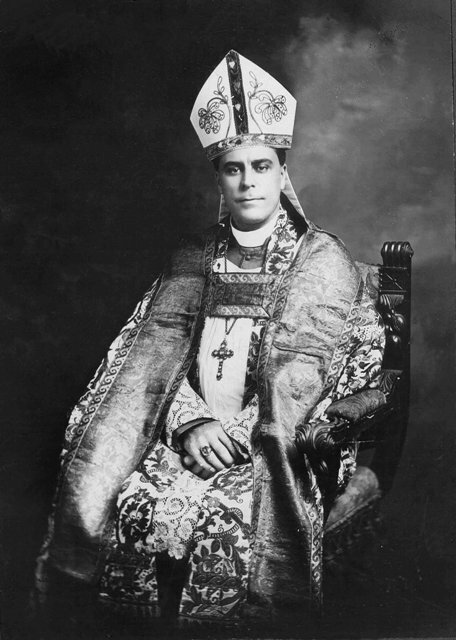 It was also my unspeakable privilege to consecrate him to the Sacred Order of the Episcopate in our movement, which was then still known as “The Old Catholic Church in Great Britain” and only later took the name of “The Liberal Catholic Church.” He had in earlier life been a priest of The Church of England, having been ordained in 1879 and served in a Hampshire curacy. Our rule at that time, as now, was to repeat Anglican orders sub conditione. I doubt if there is anybody in our Church who doubts the validity of those orders. But we wish, in the first place, to keep ourselves right with Rome which denies Anglican Orders and with other Churches which have as yet made no formal pronouncement of their recognition; and, secondly, we are of opinion that the anointings – not figuring in the Anglican formularies – serve to open up more fully the channels through which the sacred powers are made to flow. The proceedings, consequently, began with Baptism and Confirmation, both sub conditione; the giving of Minor Orders and the Subdiaconate, the repetition of the Orders of Deacon and Priest; and there came finally the consecration to the Episcopate. These Orders were conferred according to the rite prescribed in the Pontificale Romanum. It was as the outcome of this work that many researches were made by our great brother, so that we might know on what lines to recast our Liturgy. The writing and compilation of the Liturgy was mostly done by myself. But there eventuated two companion books to those explaining Freemasonry, namely, The Science of the Sacraments and The Hidden Side of Christian Festivals, both by Bishop C. W. Leadbeater. May I add, in conclusion, a few words about his personal character? He differed much in temperament from his other great theosophical colleague, Dr. Annie Besant. They complemented each other. She was by nature intuitional and synthetic; he by nature concrete and analytical. Both achieved such mastery of their powers that they could exhibit the other faculties. It was owing to this achievement that he had the aptitude for the vast activity in research work in occult matters which will always lie to his credit. If there was one great and mastered ideal which informed his life, and in which all of us may try to copy him, it was that of constant and impersonal service to the Divine Government of the world, to Its Representatives and to humanity. Charles Webster Leadbeater has meant more than any one else in my life. What I want to speak on is certain great things for which he stood – the power of the man, the beauty of his character. The greater the man the more he is misunderstood. I was intimately associated with him and know him as much as one human being can know another. I have never met a finer, more wholely sane personality. His whole life was marked by service – Priest in the Anglican Church, then lecturing, and assisting multitudes, changing the lives of thousands of people, giving them new hope and new courage. In 1916 he came back into the Church, was elevated to the rank of bishop and devoted his time to the building up of this work, a new venture and a new point of view, planned not only for our own day but for the years and centuries to come. This Eucharist is the finest thing we have to offer man. It is not a mere ceremony, it is a great spiritual outpouring. There is something bigger than the quest for bread and wealth, and that is what the Presiding Bishop stood for. There is no need for sorrow in this service because death is not the end, it is only an episode. We are immortal. He is alive. 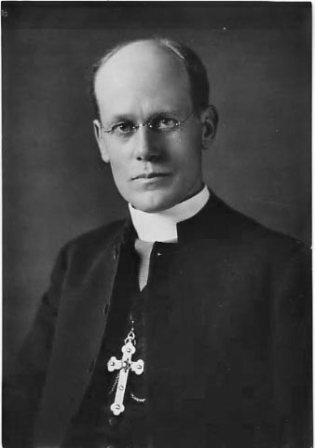 Bishop Wedgwood held a degree of D. Sc. (Sorbonne), 1921; F.S.A. ; F.R.Hist.S. ; was born in London in 1883, descendant of Josiah Wedgwood, Master-Potter of Etruria; studied organ construction and became an organist at 14; before 18 was already an authority, writing many standard texts. As an Anglo-Catholic he became a member of the Confraternity of the Blessed Sacrament. He joined the Theosophical Society in 1904, giving up work at York Cathedral to serve the Society as a lecturer in England. Was General Secretary of the TS in England between 1911 and 1913, and Chairman of the European Federation between 1913 and 1915. He was also Grand Secretary of the British Jurisdiction of International Co-Freemasonry. Studied for Holy Orders in the Anglican Church. In 1913 was ordained Priest in the Old Catholic Church by Archbishop Mathew. 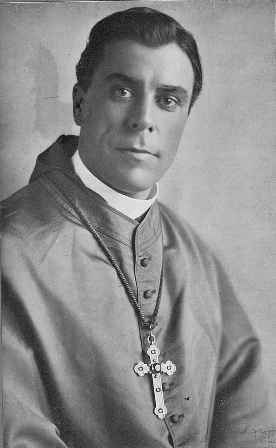 He was consecrated as Regionary Bishop for the British Empire on 13 February 1916 by Bishop Willoughby; soon after the denomination was changed from Old Catholic Church in Great Britain to Liberal Catholic Church, and Bishop Wedgwood, assisted by C. W. Leadbeater, was largely responsible for the Liturgy, Statement of Principles and Summary of Doctrine. He went on world tours in service of the L.C.C., Co-Fm. and T.S. Between 1924 and 1930 he built up the Huizen Centre in Holland. He resigned from his positions in1930 because of ill-health. Later on he worked to build up a centre at Tekels Park, Camberley, Surrey, England. 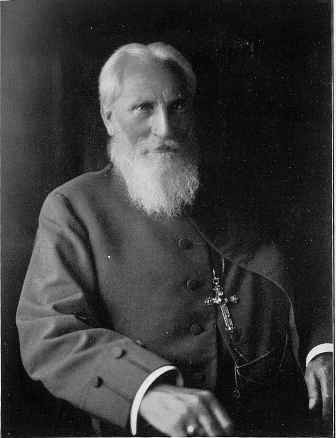 His publications include: The Distinctive Contribution of Theosophy to Christian Thought; Meditation for Beginners; Varieties of Psychism; The Presence of Christ in the Holy Communion, The Larger Meaning of Religion, Open Letter to the Archbishop of Canterbury, The Lambeth Conference and The Validity of Archbishop’s Mathew’s Orders . A postumous book of his is entitled New Insights into Christian Worship. He died on 13th March 1951. The icon above was painted by artist Nicholas Morosoff in 1935 at the request of Bishop Wedgwood for the St Francis Church in Tekels Park, Camberley, and hangs above its main altar. Courtesy Liberal Catholic Church of St Francis of Assisi. To me it was just like bursts of organ music to someone who had not known about music. At least that was the sort of impression I got when he arrived into the very midst of our lives, and started standing us all on our heads. A little later we realized that he was really standing us the right way up, and that, before, we had been so used to ostrich positions that we no longer even noticed the sand in our throats. He started us singing. Before that there had been no music. And we had all been terrified of the richness of symbols, and of the formalism of beauty; and our spiritual life was arid, like all that sand. He came with music for the spirit, music and colour, and the drama of the spirit; and what he brought was life to our arid conceptualism; we stood upright and saw the forms of the incarnate God; we stood up and sang our worship. For what he brought was sacramentalism. It all happened in Sydney where my chief interest was swimming in the surf. I was perhaps thirteen, which would make it about 1916 when he first came, and in those days the great thing was to see how brown one could get in the sun. He said he liked to see me brown; and then he gave me some striped shirts, which he said were very smart. So I was very pleased, because anybody who looked as good as he did must know. What I am trying to say is that he really did arrive into the very mist of our lives. He was so completely natural, so free of any nonsense or affectation that he was like an old friend from the very start. It was the same with all of us. I recall his loud, rather earthly laughter as he poked fun at a woman’s unctuous affectation of spirituality. But he in no way alienated her: though they had only just met, he was her old friend. I suppose the condition of his spontaneity was his entire freedom from malice; being so natural, he was warm. Yet he openly said that his friendships lay were his work was. And though much in him changed, some things developing, and some decaying, the outstanding constant, to the end, was his naturalness. And I think it was this that made us feel the warmth of the man, and made him our intimate from the beginning. One liked it that his friendships lay, so frankly, with his work, for that freed friendship from the burdens of obligation. With the Lord’s work coming first, naturalness and intimacy lost their terrors, and were acceptable. One would not be devoured in rapacious friendship. Indeed I have never worked with anybody who gave one a greater sense of freedom, not only in one’s personal relationship with him, but in the work itself. The sacraments bound one to the heart of things, to reality, tradition, to the life divine. They bound, he left one free. Undoubtedly this was the clue to his authority, his brilliant leadership, and his power to convert. I first saw this at work in the conversion of the late Bishop, then Mr. Leadbeater. In spite of the latter’s having followed Mme. Blavatsky in her condemnation of the churches, he was very quick to see that the church now proposed by Bishop Wedgwood’s effortless powers could have brought the great man back to the calling he had abandoned some forty-five years earlier. The ease of the converter’s yoke seemed to ease Bishop Leadbeater’s resistance to the church. It suddenly happened – a magic loosening, solving a liberation. And then everything began to happen. I was the blessed witness of a sacramental act of creation. I sat in the same room in which, day after tremendous day, those two men worked out and planned The Liberal Catholic Liturgy – planned, for the first time in two millennia, a Christian and sacramental worship that opened wide the way to communion with all other faiths, indeed with all individual interpretations. The bond with God incarnated in freedom, there before my amazed eyes. Our oak sideboard became the first altar of the new faith, and after the services were over, the dining room furniture would be reassembled for a great meal. My mother would sometimes leave the service immediately after communion to see about the cooking, for in those days there was always at least a dozen to feed. It was all so intimate, personal, and natural, and there was such tumultuous rush of doings – my mother making vestments, Pellegrini, of the Catholic shop, being charmingly voluble, the preparation of the hymn book, endless typing, and the running of errands, buying a church, and – vivid in memory – the great day when I took my first minor orders. What with the candles, and the incense, and the singing, I was intoxicated anew each day. And there were the choir practices, and my mother playing the organ, and then, while I pumped hard, Bishop Wedgwood came up into the organ loft and showed me how to make the organ “hick”. In spite of the tumultuous activity he had instigated, he always had time to be on such human, personal terms with one. I well recall quite a long discussion I had with him in which, while our name was still sub judice, I was urging on him the name Liberal Catholic Church. Though I was only a boy, he discussed the pros and cons with me with the same fullness with which I heard him discuss them with Bishop Leadbeater. He honoured every personality. He could do this because it was the work, and not personalities, that counted. And as for us, we all followed him for whom the call of the Lord’s work made all personalities genuine vehicles of spirit. And then there was Huizen. I was at Cambridge, where I was busy experiencing the misery I always experience when out of the work. Though my memory is bad, I could never, though dead on every plane of being, never forget my arrival at Huizen. Description would bore as well as falsify the magic and ecstasy of the moment. He was the same man, but he had become nothing. There was nothing but the overshadowing reality of sacramentalism. He had disappeared into it, and there seems nothing to say about him. Cambridge dropped out of my horizon, and all that happy autumn was a springtime of spirit. 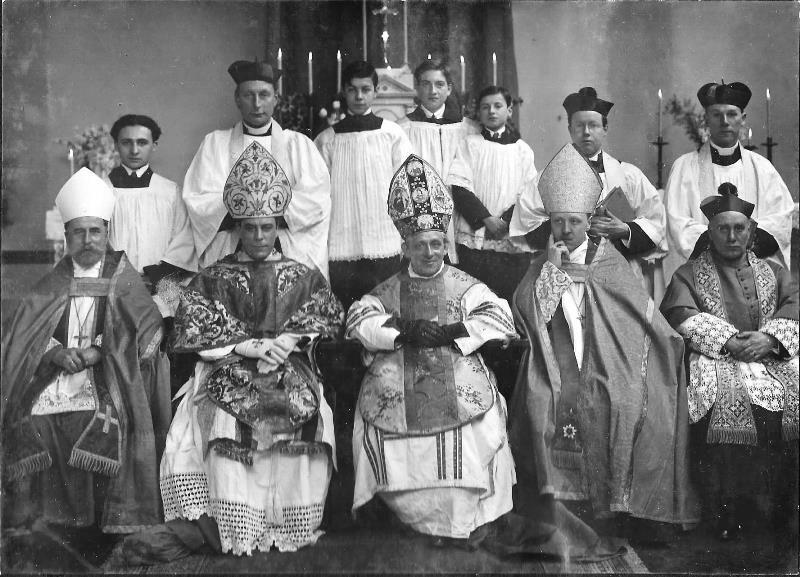 At midnight mass, on Christmas Eve, 1924, he ordained me to the priesthood. Throughout this greatest moment of my life, he, the pontiff conferring the Order, remained the unaffected human person I loved. Through the long Dutch winter, through long, unstopping hours, we prayed and worked together, seeking the word of the Master. The church was built – that dear and sacred memory. He was off, touring the Continent, yet completely trusting my inexperience to carry on the work at the church. That was typical of his trustfulness and joy in any partner in the work. With what delight he received the Arundales, how moved and touched he was that they had come! And then when Dr. Besant too came! And then the intense, prolonged sessions that led up to the great and terrible events of the 1925 summer at Ommen. But of all this I must write, if ever, in another context. And then there was gloom. He carried on the good work with a tenacity of devotion that stood out to the very end of his terrible illness. And difficulties arose for him, not only from within, but from without also. Yet there remains one word about him that cannot be too often quoted. Groddeck himself saw him when he was most distressed. Groddeck said that he had seen many people in this condition, and that it had always brought out horrible qualities, yet that in this case there was nothing but the most saintly thought of others. “Er ist ein wahre Heilige, ein wahre Heilige” (a veritable saint) Groddeck affirmed. 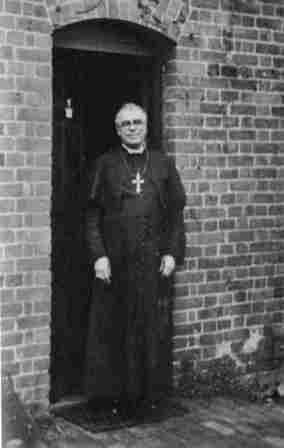 Bishop Wedgwood outside his house at Tekels Park, Camberley, Surrey, UK (1948). Courtesy Church of Saint Francis, Tekels Park.